California's junior Senator, Kamala Harris (D), has quickly become a rising star in Democratic circles across the nation. 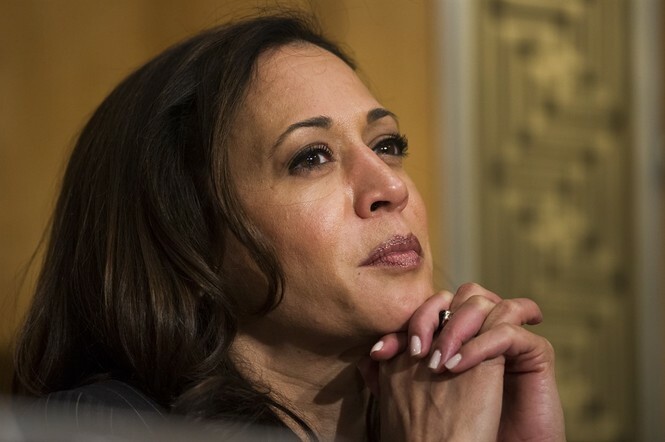 People have continually whispered — and pondered — about Harris potentially running against President Donald Trump in 2020. Harris has remained quiet about a potential presidential run but she has made her legislative focus known: she wants to push gun control and roll back immigration laws. 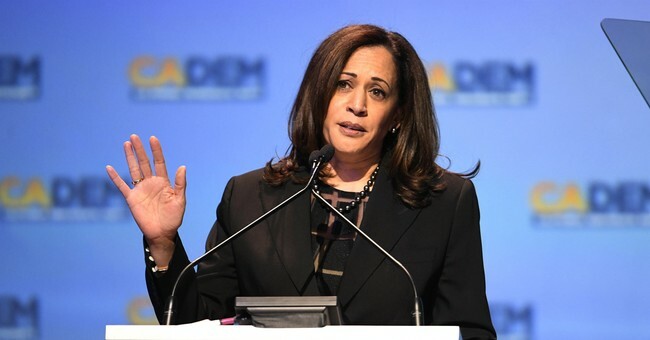 Last week during a town hall meeting in Panorama City, Harris talked extensively about President Donald Trump's immigration policies, the Los Angeles Daily News reported. 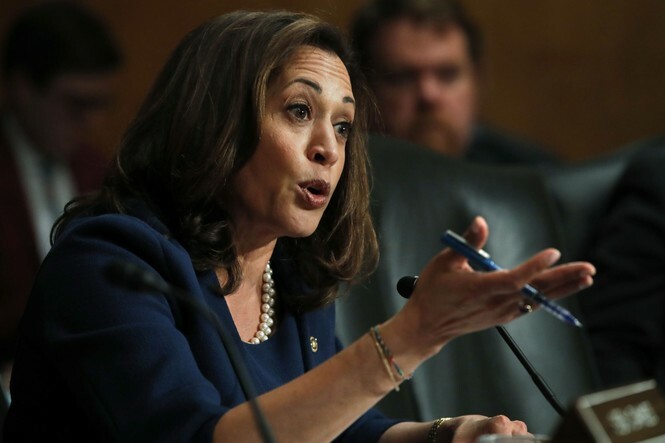 “This administration, as far as I’m concerned, has put a target on California’s back and we’re going to need to fight this,” Harris said, referencing Trump's immigration policies. Harris talked about the Department of Homeland Security separating children from their parents when they cross the border illegally. “It’s immoral. And let’s be clear, government should be in the business of keeping families together not tearing them apart," Harris said. During the discussion, the junior senator encouraged voters to be activists for causes they're passionate about, one of those being gun control. She explicitly talked about getting rid of "weapons of war." One look at Harris' Twitter feed and it's apparent that pushing gun control and standing up for illegal aliens are her two top legislative priorities. Awful, gut-wrenching news out of Santa Fe, TX. My thoughts are with the families of the victims. Grateful for law enforcement and first responders. This is the 15th school shooting this year and we still haven’t taken action in Congress to address this epidemic. We cannot accept this as normal. We must address gun violence. It is long past due for Congress to have the courage to pass reasonable gun safety laws. This is not a question of right or left. It's a question of right or wrong. No American should have to experience or live in fear of gun violence, especially children in their classrooms. Our leaders need to lead. We must stand up to the gun lobby and do what's right to keep our children safe from gun violence. Let's be honest: this Administration doesn't want a solution for Dreamers. They want red meat for their base. They want to deny America's history as a nation of immigrants. This Administration's immigration policies are outrageous, cruel, and inhumane. Proactively working to break up immigrant families is putting these kids' lives in danger. We need to put a stop to this. Members of the Administration should come testify on this inhumane policy. ?? The Administration sabotaged efforts to solve that crisis. ?? They don’t want a deal to protect the Dreamers. They want red meat for their base. California doesn't exactly have the greatest reputation around the country. The Golden State is known for having high taxes, strict gun control laws, water shortages, high unemployment, an influx of illegal aliens and loads of traffic. Harris' attempt to push California even further to the left is setting the state up for even harsher conditions. Californians are flocking to other states, like Arizona and Idaho, because they're wanting to have the freedom to choose how they live their lives (what a shocking concept, right?). But guess what? Harris wanting to push laws that reflect California's "values" is more of a liability than an asset. People are waking up to what the Golden State has become and they're done. California politicians like Harris are giving residents even more of a reason to flee the state. That fleeing is bad for the state of California but great news for the GOP. It means red states are going to gain Congressional seats while California loses them.